Swami Rama Tirtha was a Vedantin of the highest realization. 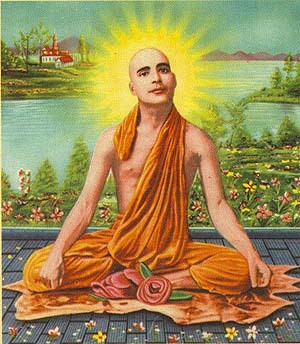 Vedanta according to him is no dogma or blind faith, but the Reality of realities. It is the realization of our true Self, Sat-Chid-Anand, the state of All-Being, All Knowledge, All Bliss. Swami Rama was not only a religious teacher, but was also a fearless social reformer, and an undaunted patriot. This website is dedicated to disseminate the teachings of Swami Tirtha. To this end we will be making available Swami Rama's “In Woods of God-Realization” online. In Woods of God-Realization is a seven volume compilation of the complete works of Swami Rama. Please click on the links below to navigate this site. Age The youth of Divine joy. Apply SharpWith no begging solicitation but commanding decision to the Director of the Universe, Your own Self.